How to record the meeting on a Mac computer? 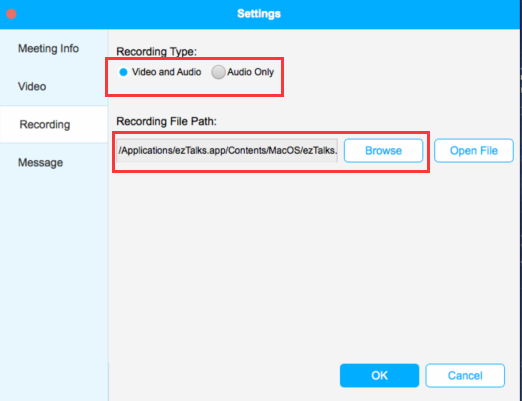 Get to know the steps of recording and playback with ezTalks app on Mac computer. 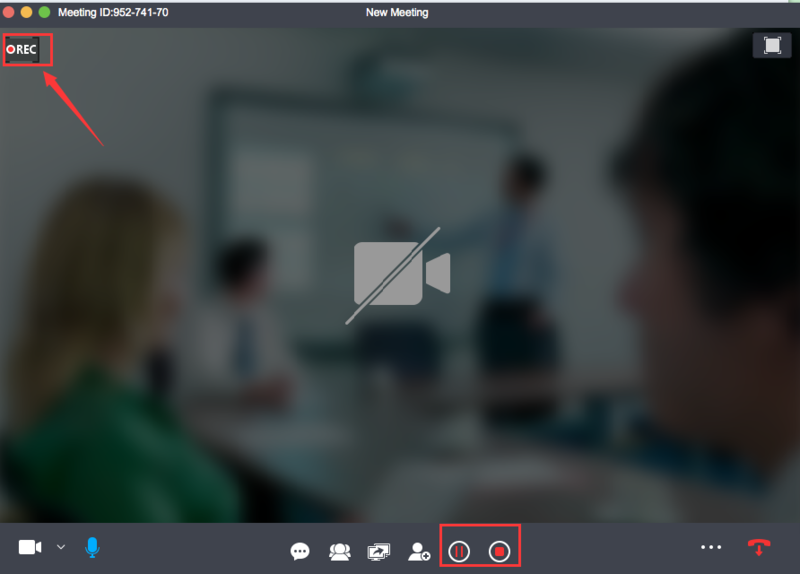 ezTalks allows you to record the meeting video and audio locally on a Mac computer. 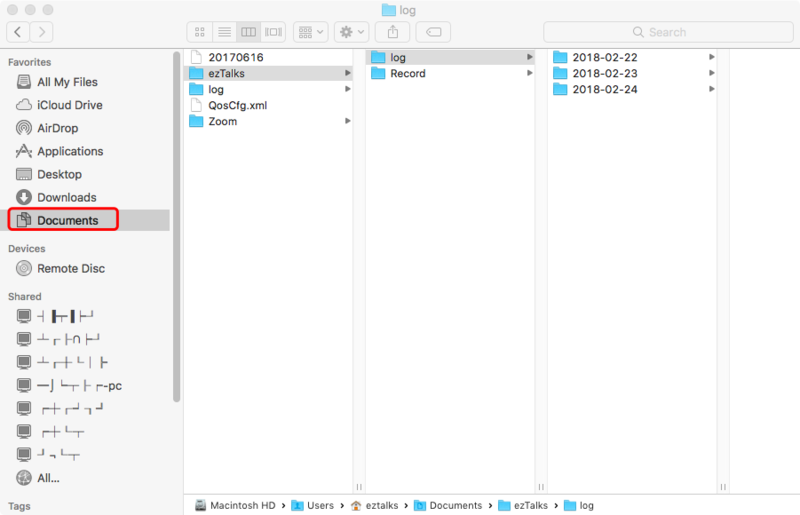 Here are the steps about how to record the meeting on a Mac computer. 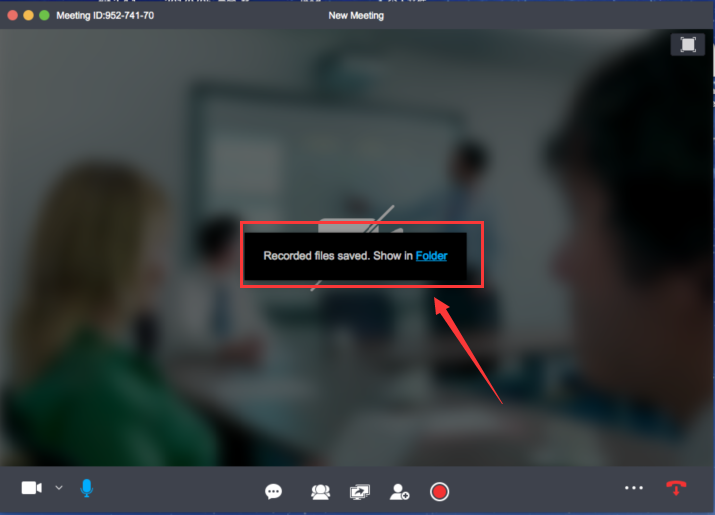 Learn how to record the meeting on the Windows computer. 2. Click the record button and you can see a REC recording symbol showing on the screen. 3. If you stop the recording, the recorded files will be automatically saved to your local computer. You can click the folder as below to check the files. 5. On the record settings page, you can choose recording video and audio or audio only. You can change the recording file path to anywhere else on your computer. The recording format of the video is mp4 and the audio is mp3. When you record video and audio, it will playback everything showing on the video screen as well as the audio.